Here is the thing about living a stylish life–it’s not easy. Part of being stylish is seeming like you have it all together, and with how fast the world moves these days, that is a serious challenge. So why not use our smartphones (Em and S both have iphones) to their fullest potential to keep you lives appearing as seemless as possible! Here are some apps we love to help organize our crazy lives! Em and S both stay very aware of their finances, as everyone really should these days. A good understanding of your money is essential to life, whether or not you feel like yours is stylish! Mint, is a website and app that pull all your accounts into one location, letting you easily check on your financial status. It also gives bill reminders and lets you make a budget! 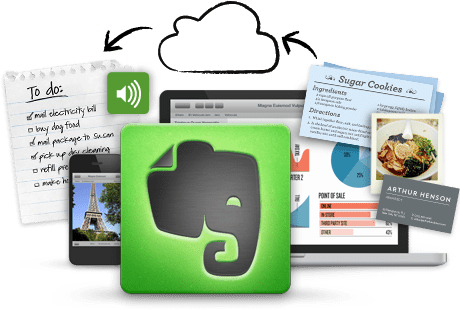 Evernote is a note taking app that also syncs across all decides. It allows you to make lists, add pictures, even drawings. Such an easy way to save everything and anything and know you can access it no matter where you are. Another app that will let you save anything and everything. Em and S use this one a lot because you can share with other users–allowing us to share photos easily. There is a free version, and a paid version that gives you more space. Between work and pleasure, we travel a lot. Yes, a lot. Hopper is an app that will keep track of flight prices give you an idea of when its more or less expensive to fly, and gives you notifications for when prices drop and you should buy your tickets! So handy if you are a frequent flyer! This little app can help you locate stores and restaurants, and anything else near your current location. Great app for fashion inspiration. Want to know where to find that awesome dress you saw on instagram? This is the app to help you!